With the winter transfer window closed, manager’s are now looking ahead towards the summer and planning deals for next season. 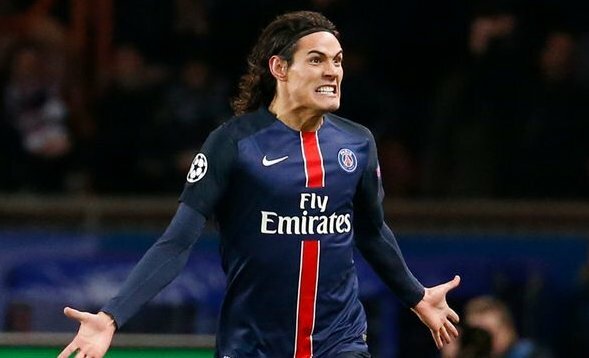 Today, Man Utd are linked with Edinson Cavani…. Manchester United are hoping to beat Arsenal and Chelsea to the signing of Edinson Cavani and are ready to test Paris Saint-Germain’s resolve with a £36m bid, according to the Express. Cavani has long been linked with a move to the Premier League and the rumours have once again intensified after the striker’s reported fall-out with boss Laurent Blanc this season. The Uruguay international has never hidden his discontent at having to play out wide to accommodate Zlatan Ibrahimovic in his preferred central role and the tension has finally boiled over in recent months leading to Cavani losing his first team place. The striker was left on the bench for last week’s Champions League last-16 first leg with Chelsea but the 29-year-old once again showed his quality after coming on to score the winner during a 2-1 win, which was his 16th goal of the season. The uncertainty over his future has to led to speculation Cavani could finally be heading to the Premier League with the Express claiming that Arsenal, Chelsea and Manchester United are all keen to lure him to these shores this summer. Arsenal fans have been crying out for Arsene Wenger to spend some of their surplus cash on a top class striker to compete with Olivier Giroud while Chelsea also need more options through the middle to support Diego Costa and Cavani would certainly fit the bill. However, the newspaper is citing reports coming out of Italy that suggest United are hoping to beat their rivals to Cavani’s signature and are ready to test PSG’s resolve with a £36m bid. Louis van Gaal’s future at Old Trafford is in serious doubt but whoever is in charge this summer is going to be extremely active in the transfer market with a striker unsurprisingly a priority, and it appears the club have set their sights on Cavani. The news comes just days after the player’s own father, Luis, confirmed that Cavani isn’t happy playing on the wing at PSG and backed his son to join Manchester United, Real Madrid or Juventus. “He can’t help his team like he wants to. “As long as Zlatan is there, he will play in the centre. It’s obviously clear that Edi would be more effective in the middle and would profit from the numerous crosses from his team-mates. Edi was born to score. Despite his struggles this season, Cavani is still a world class talent who would be a fine addition to Arsenal, Chelsea or United if any of them were able to strike a deal with PSG this summer. I personally think the Ligue 1 champions will decide to cash-in at the end of the season and would love to see the South American come to the Premier League, so hopefully one of the trio can win the race for his signature.